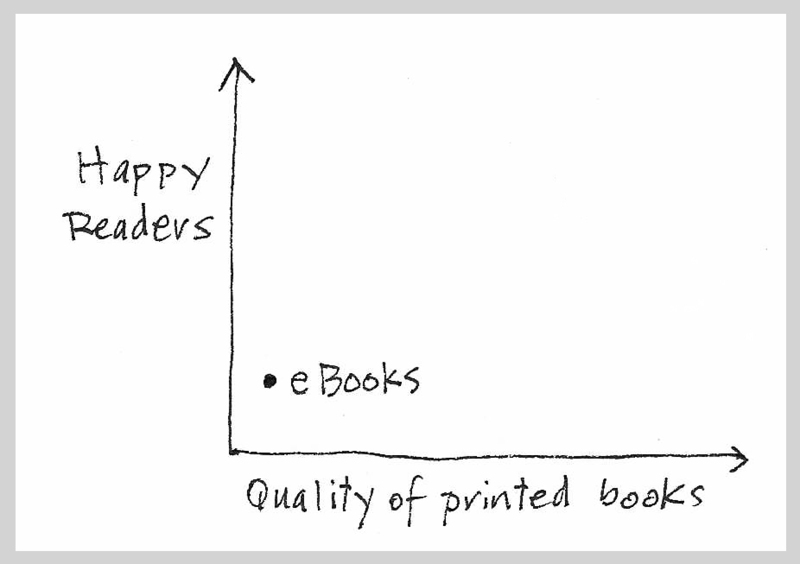 The fewer books published, the better the content. 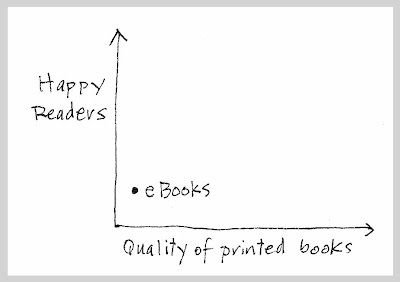 When the book publishing and design bar continue to steadily rise, we all win. :: Thanks for the link Matt Sowecke! I must admit, I love my Kindle. But I've only read classics from Project Gutenberg, so quality doesn't suffer.